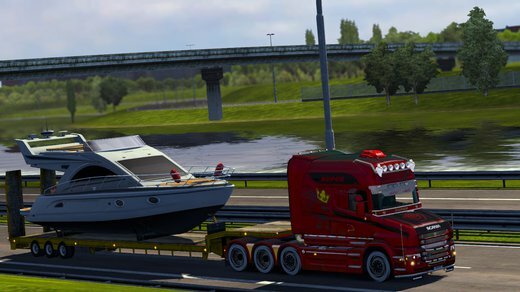 Goal: Using external contracts, complete deliveries with all 10 ETRC cargo trailers. For an additional reward, complete a minimum of one delivery to at least 5 different destinations. Read full description at Events page. Your images were faved by 50 people. This is a multi-achievement. You can earn it multiple times. Your images were viewed 1001 times in total. 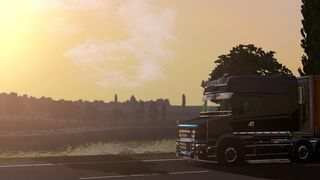 Your screenshot appeared in the World of Trucks Editor's Picks section. Reached 100 likes over all of your images. 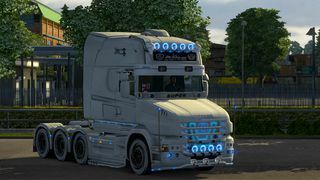 Fill your World of Trucks profile (avatar, all profile images, plate number, country). 7 of your profile images received at least 1 like. 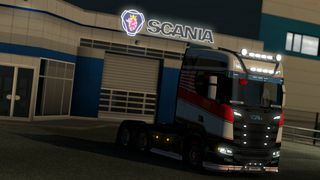 Complete 100 World of Trucks contracts. Travel to the Moon - travel 384,400 kilometers (238,855 miles) performing World of Trucks contracts. 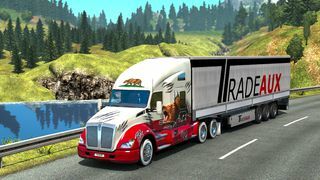 Complete 10 World of Trucks contracts in American Truck Simulator and 10 contracts in Euro Truck Simulator 2. Transport 1 million kilograms (2,204,623 pounds). Complete 5 jobs in a row with average delivery distance not smaller than 1,000 km (621 miles). Travel 1 million kilometers (621,371 miles) while on the job. Logged in to World of Trucks web in 10 consecutive days. Logged in to World of Trucks web 50 times within two months (counts one log-in per 24h). 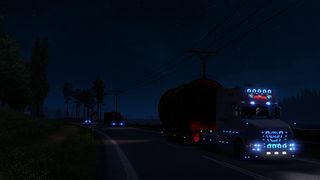 Deliver 100 t of cargo in 1 hour. Minimum required job distance is 100 km (62 miles). Complete 3 contracts in a row with a minimum of 300 km (186 miles) per contract. Your time on duty shouldn't exceed 25 minutes per contract. Each delivery must be perfect (no cargo damage, in-time). Transport 1,000 tons (984 lg tn) in a single week. Counts any 7 consecutive days, minimum required job distance is 250 km (155 miles). Using external contracts, complete 10 FIA ETRC Trailer deliveries across Europe in the #OneTruckFamily community event! Using external contracts, complete a delivery to at least 5 different destinations. across Europe in the #OneTruckFamily community event!